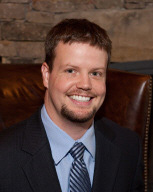 Dr. Don Cantrell, Jr. is originally from the Habersham County area. He attended Habersham Central High School, graduating in 1997. Dr. Cantrell received undergraduate education at Georgia Tech from 1997-2000. After gaining his Doct of Dental Medicine degree from The Medical College of Georgia in 2004, Dr. Cantrell opened his private practice in June 2005. 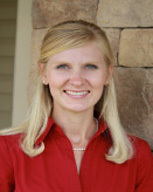 Dr. Brandi O. Wilbanks also grew up in Habersham County. She is a graduate of Habersham Central High School where she was actively involved in various school organizations and athletics. From high school, Brandi went to North Georgia College in Dahlonega on a basketball scholarship where she majored in Biology with a pre-dental emphasis. After receiving a bachelor’s degree from North Georgia, Brandi attended the Medical College of Georgia where she received her Doctor of Dental Medicine Degree. Brandi currently resides in Mt. Airy and is very excited to be back in her hometown serving the community that has been so good to her.